The pop idol turned science idol, Professor Brian Edward Cox is a British physicist and professor of particle physics at the University of Manchester. He is best recognized as the presenter of science programs for the British Broadcasting Corporation (BBC). He is known for bringing science to a wider audience through these programs, especially in physics and astronomy. Brian Edward Cox was born on March 3, 1968 to parents who both worked in the banking industry. He had a happy childhood in Oldham and his extracurricular activities included gymnastics, dance, and even plane and bus spotting. One book he read when he was twelve inspired him to become a physicist. It was “Cosmos” written by Carl Sagan in 1980, based on the famous 13 episode television series of the same name. From 1979 to 1986, Brian studied at the independent Hulme Grammar School. Brian performed poorly in his A-level in Mathematics and received a grade of D. At the time, Brian reflected on this poor score and endeavored to pour more time and effort into math practice. He considered that there were two reasons for his low Math grade result – his fledging band commitments and a lack of interest in the subject. Brian enjoyed playing music and was a keyboard player in two pop bands in the late 80’s and 90’s, Dare and D:ream. Fortunately, his poor A Level mark in mathematics mark did not stop him gaining a place at university and at 23 Cox began studying for a science degree. At this time he was still trying to juggle his music ambitions with his studies; his band D:Ream had a number one hit with “Things Can Only Get Better” in 1994. Cox received a first class degree in Physics from the University of Manchester in 1997. His pop band, D:Ream, disbanded the same year. Cox completed a doctorate in high energy particle physics at the University of Manchester in 1998. Supervised by Robin Marshall, his thesis was entitled, “Double Diffraction Dissociation at Large Momentum Transfer”. Cox had first gained popularity with his musical career as a keyboard player in pop bands in the late 80’s and 90’s. He then focused on a career in science. In 2005, Cox was appointed as a professor of particle physics at Manchester University, a position that he still holds. He was a Royal Society University Research Fellow from 2005 – 2013. A natural presenter, he has appeared in many science programs for both BBC television and radio, including “In Einstein’s Shadow”, the BBC “Horizon” series and he also worked as a voice-over for the BBC’s “Bitesize” children’s education programs. Cox has regularly presented the Radio 4 science program “The Infinite Monkey Cage” with comedian Robin Ince. He presented the popular five-part BBC Two series on television “Wonders of the Solar System” in 2010 and a follow-up 4-part series called the “Wonders of the Universe” the following year. In 2012, he presented the BBC series “Wonders of Life” in which Cox describes a physicist’s view on natural history. He also presented both BBC series “Human Universe” in 2014 and “Forces of Nature” in 2016. Along with comedian Dara O Briain, Cox hosted BBC’s popular live astronomy program “Stargazing Live”. This was first broadcast in 2011. In the first episode Jonathan Ross was shown how to use a telescope and Brian Cox explained why planets are spheres. He appeared numerous times at TED (Technology, Entertainment, and Design) where he gave talks on particle and Large Hadron Collider physics. The Symphony of Science featured him in The Case for Mars in 2010. During the Royal Television Society’s Memorial Lecture in 2010, Cox gave a lecture on “Science, a Challenge to TV Orthodoxy”. He examined problems and issues about the news media coverage of science. Apart from broadcasting science, he has also co-authored and written many books about Physics, which include “The Quantum Universe” and Why does E=mc2. His effort to broadcast and publicize science has brought him numerous awards and recognitions. In 2002, he was voted an International Fellow of The Explorers Club. 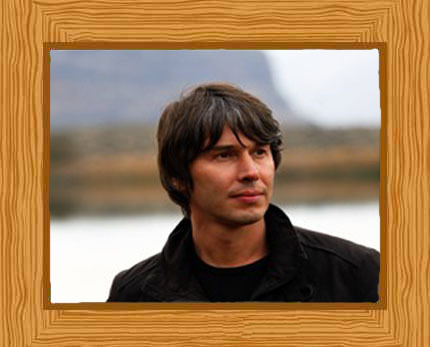 In 2006 Brian Cox received the British Association’s Lord Kelvin Award for publicizing science. He received an OBE for services to science in 2010, the President’s Medal from the Institute of Physics in 2012 and the Royal Society Michael Faraday Prize in 2012. Professor Cox is a humanist and is a “Distinguished Supporter” of the BHA or the British Humanist Association. In 2003, he married U.S. Science presenter Gia Milinovich. His first son, George was born on May 26, 2009. George’s middle name is “Eagle” gotten from the lunar module Apollo 11. Cox currently works on the ATLAS experiment, a project which requires Cox to spend time at CERN in Switzerland using the Large Hadron Collider.